This past Saturday I took the opportunity to get out, shop, lunch and enjoy the beautiful weather. 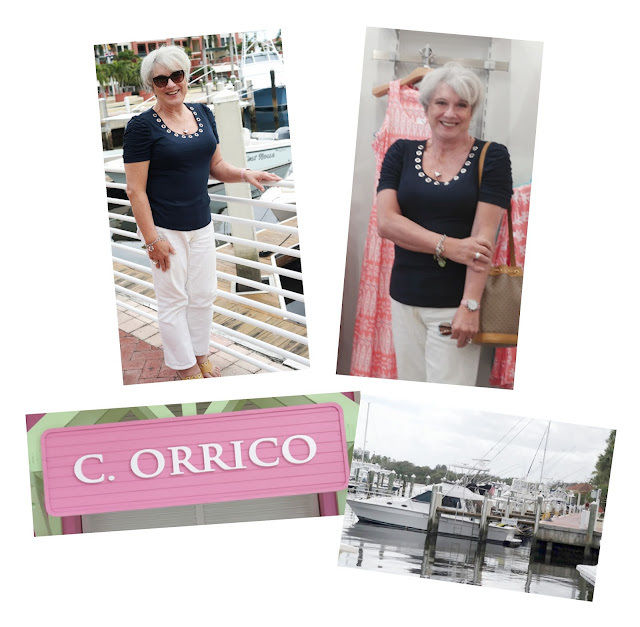 First stop was Starbucks in Palm Beach, followed by lunch and then shopping at a favorite store, C. Orrico. This is my go to store for Lilly Pulitzer fashions. You can see some of the dresses in the background in the right photo. I wrote about Lilly fashion in a previous post - Playful and fun. It was just to beautiful to go home, so top down and a drive up to a local marina. There I spent about an hour just sitting and watching the boats go and come. There are three lovely restaurants and will save that for another day. Saturday - A nice day. Tell us about you weekend?